BRUSSELS — European governments get their own say on Brexit this week as they debate future ties with London in the run-up to Sunday’s summit to sign Britain’s divorce papers. Ministers from the other 27 EU member states are in Brussels on Monday at the start of what Prime Minister Theresa May calls "an intense week of negotiations." "We won’t agree the leaving part... until we’ve got what we want in the future relationship, because these two go together." "During that time I expect us to hammer out the full and final details of the framework that will underpin our future relationship," she was to say. While the EU 27 and their negotiator, Michel Barnier, have remained publicly united through the 17-month negotiation -- Britain’s political camps are at war. 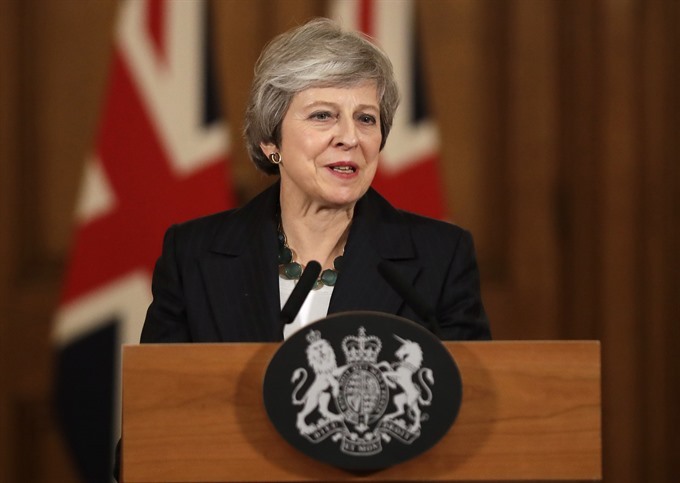 Hardline Conservative Brexiteers and May’s Northern Irish unionist allies have pledged to vote down the treaty despite the threat of a calamitous no-deal Brexit. After making what they regard as an offer that respects Britain’s desire to leave but preserves the integrity of the Union, EU officials are surprised by the furious debate. Publicly, they refuse to intervene in Britain’s bitter debate, but privately they insist both sides "exhausted their margin to manoeuvre" in the divorce negotiation. And Spain also has concerns about the future status of Gibraltar, the British territory on its southern coast, a diplomatic source said.